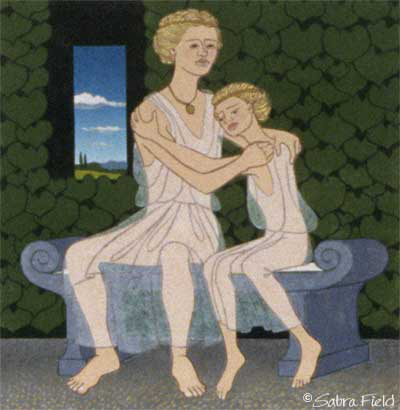 Persephone loved her mother so much that she vowed never to marry. Aphrodite, goddess of love, was angered by such a rejection of sexual love. She ordered her son, Cupid, to shoot an arrow into the heart of Hades, Lord of the Underworld, when he drove his chariot out of the ground beneath Sicily.